On a trip to the post office today, we spotted what looked like a few dozen baby geese. 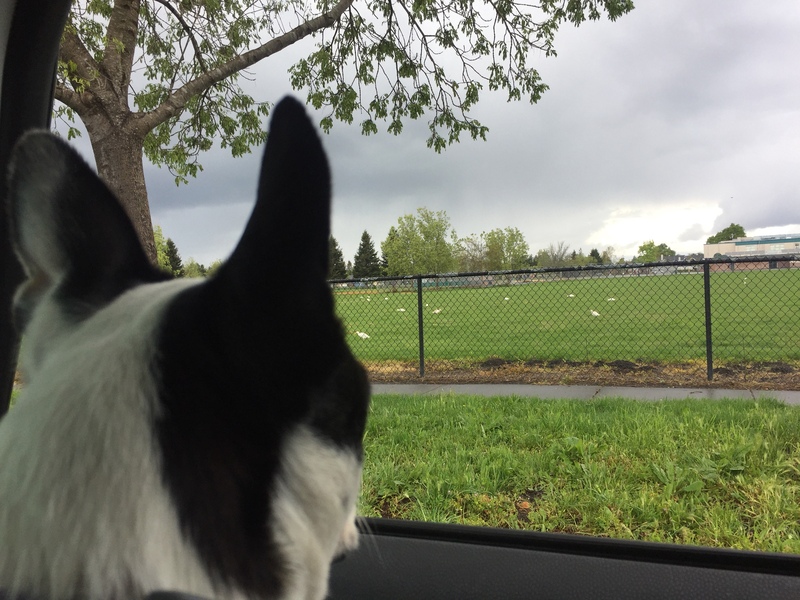 The little white birds were hanging out in the rain-soaked, back field of a local junior high school, and we pulled over to take a closer look. Paisley was especially interested, so we didn’t want to scare them by getting out of the car. Today’s #OneGoodThing was gosling spotting with Mama and Paisley! Day 106 of 365. And Day 837 in a row (here’s the first 366 & the following 365)! 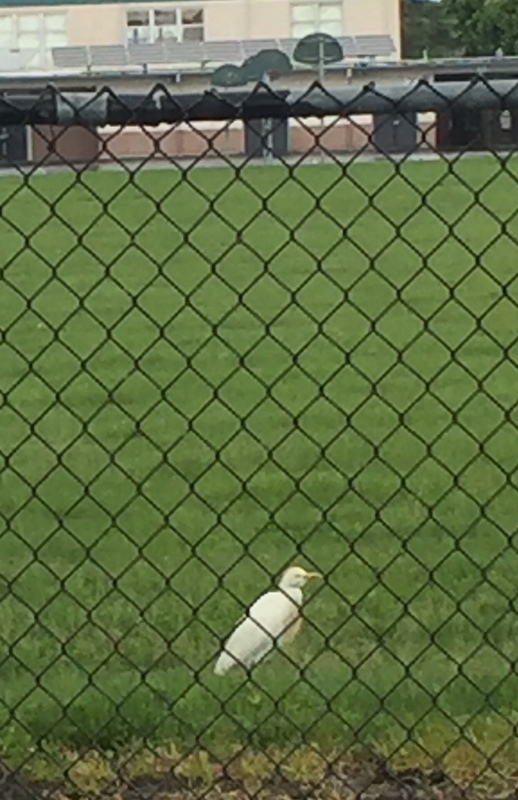 e Seeing this huge field with so many white birds was so surprising! We stopped immediately for a closer look.